Meet Adrienne B. Haynes, Esq. Adrienne B. Haynes is an attorney and business woman who specializes in helping entrepreneurs develop sustainable infrastructure and business practices. She is the managing partner of SEED Law, a boutique business law firm, and owner of SEED Collective, a consultancy. Adrienne uses over ten years of business and leadership experience to create legal and strategic planning solutions for her clients and to speak and write on topics relating to law and economic development. Through SEED Law, Adrienne has developed long term relationships with business clients throughout Missouri, and she works closely with business resource partners to provide industry specific legal representation and education. 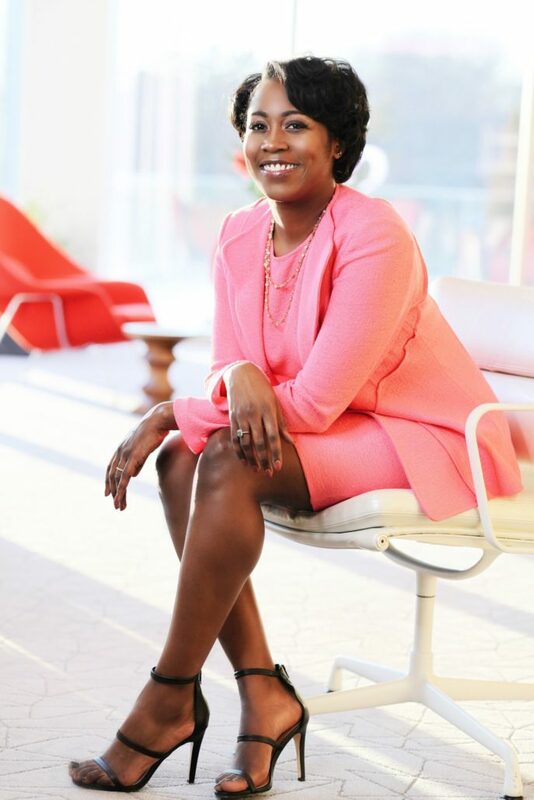 Through SEED Collective, she has consulted with clients such as the Kauffman Foundation, the University of Missouri-Kansas City, Blue Hills Community Services, the Midwest Women’s Business Enterprise Council, Elevate Energy, and others to help foster an inclusive and innovative business community. Through the Kauffman Foundation, she works as an Innovator in Residence to support the Foundation’s work and help develop uncommon solutions within Kansas City and beyond that reduce barriers to entrepreneurship. Adrienne prioritizes community service through nonprofit representation and leadership, and she has participated in the founding of several nonprofits , including the Construction Business Institute, Multicultural Business Coalition and Black Female Attorneys network. She is a proud member of the Buena Vista University National Alumni Association Board of Directors, the Kansas City Startup Foundation Board of Directors, Linwood YMCA Community Mission Board, advisor to Front Porch Alliance and other nonprofit organizations, and a member of local bar associations. Adrienne is a graduate of Buena Vista University, where she studied Entrepreneurship and Spanish, and of the University of Missouri-Kansas City School of Law where she graduated with an emphasis in Entrepreneurial Law. Stay tuned for the 2019 list of events! Registration links will be updated as available.